UK Business Secretary met ministerial counterparts and businesses in Austria and Finland to discuss Chequers white paper and future economic relationships post Brexit. The EU Commission must respond positively to the Chequers white paper to ensure our continued strong economic ties and avoid sustained economic damage. This was the message from Business Secretary Greg Clark when he met his ministerial counterparts, businesses and investors in Austria and Finland to discuss how the Chequers white paper sets the foundations for a positive future trade relationship with the EU compared to the negative impact of ‘No Deal’ on both member states and the UK. Since the publication of the white paper I have travelled to 5 EU capitals to discuss our proposals with ministers and businesses. I am confident the UK and the EU now have the foundations and opportunity to come to a pragmatic and mutually beneficial deal. My discussions across Europe have demonstrated how clearly it is in everyone’s interest that an agreement is reached quickly and ‘No Deal’ is avoided. The Commission has a responsibility to all the people of Europe to respond positively and constructively, if not, the disruption and impact on our continent’s businesses, economies, and millions of hard working families across the UK and EU will be significant and lasting. In Austria (14 August), Greg Clark met Ministers from both of Austria’s coalition partners, the People’s Party (ÖVP) and the Freedom Party (FPÖ), including the Minister for Economy and Digitalisation Margarete Schramböck (ÖVP) and Vice Chancellor Heinz-Christian Strache (FPÖ), as well as leading Austrian businesses with investments in the U.K. and U.K. companies with interests in Austria. Visiting Finland on Wednesday (15 August), Greg Clark met Mika Lintilä, the Economy Minister and also with Finance Minister Petteri Orpo, as well as Finnish companies with interests in the UK. The Business Secretary also discussed the challenge and opportunities all countries are facing in preparing our economies for the industrial revolution that is taking place across almost every sector. 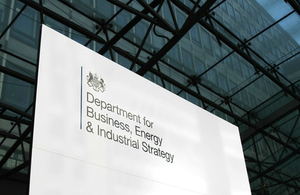 Ensuring the UK through its Industrial Strategy builds on its strengths to take advantage of the opportunities that lay ahead and provide the high skilled, well paying jobs in the industries of tomorrow.
. Smart meter enabled technology could see electric car owners cut bills and make money. 2018-08-16.